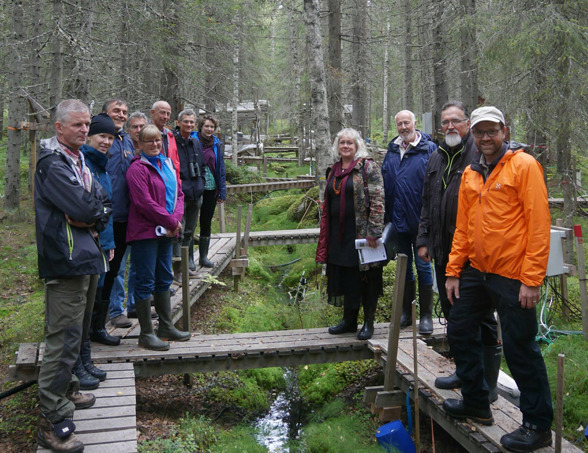 Svartberget and Röbäcksdalen acted as hosts for the SITES boards September meeting last week. Since SLU is the host University of SITES, the board meets with the vice chancellor of SLU once per year to reconcile. Furthermore, the meeting also addressed planning for the upcoming application to the Swedish Research Council regarding financing of SITES after 2018. Station managers, technicians and researchers utilizing the SITES infrastructures participated during the visits, and took part in the discussions. 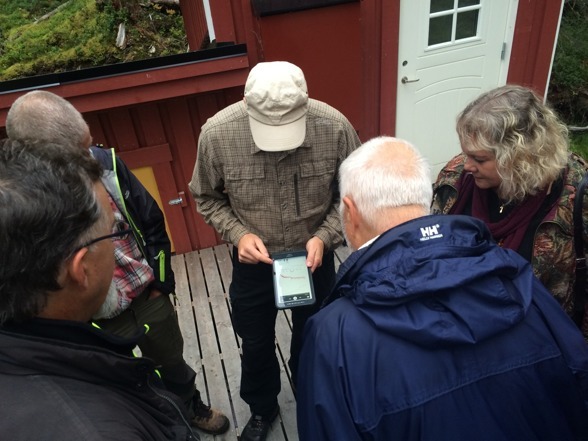 At Svartberget, the board visited some key facilities, including Lake Stortjärn which is a part of the SITES Water program, and consequently has been instrumented heavily during the last year. A platform has been constructed on the lake, and a raft for field work as well as gas flux chambers have been installed on the lake. Researchers from different universities use Stortjärn as their main field site, since it has become more logistically available in recent years. 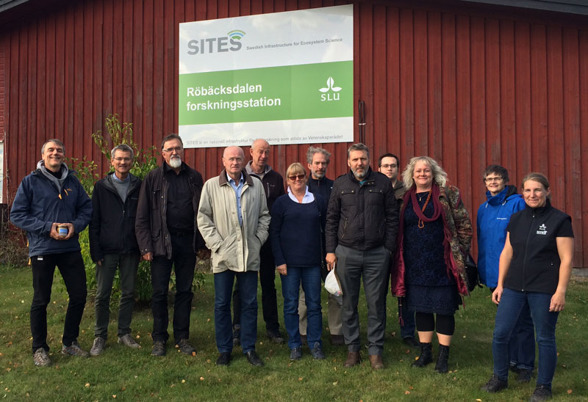 Station manager Jenny Viklund, brought the visitors to Röbäcksdalen research station on a ride alongside some of the experimental fields. As a part of the trip, SITES NordSpec towers and sensors were visited, along with a piece of land where a local entrepreneur will establish an apple orchard in collaboration with the research station, which will be open to researchers before the end of the year. In the distance they could see the harvest of fields used for crop rotation studies in the long term field trials. Every year, the SITES board has visited two or three field stations during their May and September meetings and this nine stop tour is now complete. Visits at field stations are very important to increase the understanding and knowledge of the daily goings on at the stations. Both individual and common challenges and possibilities are identified during these meetings which is a good base for planning the new application.